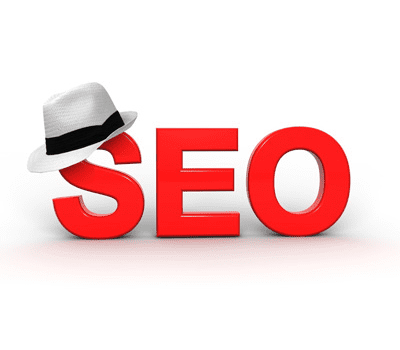 Some SEO (Search Engine Optimisation) specialists use black hat SEO tactics for marketing and getting good rankings on Google and other major search engines. The reality is that genuine SEO takes months to show results in SERP (Search Engine Results Pages). When clients contract an SEO professional they understandably want results in days, but such expectations are misguided. 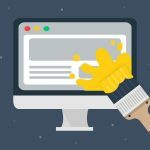 The fear of losing the client forces some SEO professionals to use Black Hat SEO techniques that can potentially lead to their site being blocked from searches by Google. SEO takes time and results come after a reasonable period. It is not a miracle thing that can be achieved in a day or a week. In this post, we will discuss some great White Hat SEO techniques which you can use in your Link Building campaign to give your website long lasting SEO benefits. 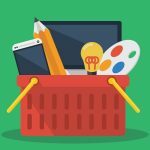 Offer something free on your website. It can be a product, a guide, useful research or an E-Book. Make sure anything that you offer free should be of top quality. If the free stuff is useful for the end users, they will link to your website themselves. The most common mistake people make here is that the product they give away free is not of good quality. Either you offer a quality product or you don’t offer it. If the free product is of good quality, people will make their own mind up. If you are successful in this strategy you can get hundreds and even thousands of top quality relevant backlinks and targeted traffic to your website. Google loves original backlinks that come naturally. Forum signature backlinks and backlinks from blog commenting using primary keywords are against Google’s quality guidelines. Use this Search Term to find related websites that are offering guest blogging opportunities keyword “submit a guest post”. This will bring in relevant websites that allow guest Posts. They allow a couple of links either from the article body or the author resource box or from both. If this does not work for you then sign up on myblogguest.com. 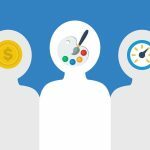 This is the biggest community of bloggers who are open to accept guest posts. When you sign up select the right category of your business. You will receive an email alert whenever anyone submits a request for guest posts. If you are hosting a big event in your industry with lots of free and paid offerings, sponsoring a charity event, or have interviewed a leader in your target market, post everything like this on your website. Share such news with all your social media friends and colleagues. The visitors of your website and your mates from social media will share this news with hundreds and thousands of other people in their network if they find it useful and worth sharing. This will bring in tons of relevant and natural backlinks from other websites, blogs, news sites, magazines, and social media networks. If you have a product or a tool or a guide that can rock the industry, then its marketing via a right platform is essential. Advertisement on print media, newspapers, or paid advertisements on big websites is very expensive. Bloggers can play an important role here. Contact the reputable bloggers in your niche who people trust. Offer them your product free for a test period and ask for a review to be posted on their blogs or websites. Everyone who works online wants to monetise his/her time that they spend on online activities. Bloggers also work for some extra cash. A smart strategy is to offer a fixed percentage of every sale that comes via his/her blog. Reputable bloggers have thousands of subscribers. They will not only write a convincing blog post about your product or service (with quality and natural links back to your website), but will also promote your products with their big list of subscribers. This will not only give you natural backlinks and reputation, but a good quantity of sales as well. After Google’s penguin algorithm update, world press releases have become very important. Write about all new and exciting news in your company like a product launch, a website launch, a blog launch, a free E-Book offering and submit this to free press release distribution sites. Almost all free PR sites offer one or two backlinks. This will be a natural backlink that Google loves. Keep in mind that Google does not index content the same way every time no matter if you submitted that content to 100 press release distribution websites. If you want to submit your press release to say 30 press release sites then change different portions of your press release every time when you submit to a press release site. This makes sure that every version of your press release gets indexed by Google and you get indexed backlinks from every press release site.